Now I personally am not a falsie girl but I know many of you are so if I am talking to you, keep reading for some quick tips on how to apply you own false lashes! ‎1. ONLY use lash glue when applying lashes (not hair glue, nail glue etc…DUO is my fav brand)! 2. 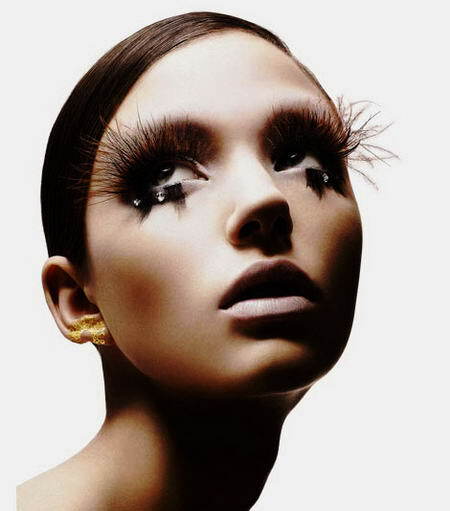 Measure false lashes against your lash line & cut off the excess. You don’t want your lashes to hang over the side of your eye. 3. Holding the false lash between your thumb and index finger (or with tweezers) apply a THIN layer of glue to the brim of the lash. Make sure you don’t glob the glue onto the lash. You want a thin layer but enough to hold the lash in place. 5. Tilt your head back a little, this makes it easier to see where you are placing the lash, and apply lash right where your lashes connect with your eyelid (your lashline). 7. Now your lashes are complete. Finish it off with your favorite eyeshadow and liner to help make the lashes look a little more natural! You can even throw on a coat or two of mascara but be careful not to tug to hard!